The Shag Harbour incident is Canada’s best-known UFO case. Some have even called it the Canadian Roswell. It all started in October 1967 when some fishermen near the small village of Shag Harbour in Nova Scotia, noticed strange flashing amber lights in the sky. They appeared to hover close to the village for a little while before heading out over the water. Then they took a sharp downward trajectory and plunged towards the surface. Witnesses report seeing and hearing some kind of explosion at that point. A single steady light then replaced the four flashing lights. It seemed the craft floated and moved on the surface of the water for some time before submerging. Thinking that a passenger plane had crashed, the witnesses called the local Mounties. The authorities soon arrived on the scene and began to investigate. When they made their way to the scene of the impact point, they noticed some weird foam coating the surface of the water. Making inquiries of all civil and military air traffic controllers with responsibility for the area, they were told that no aircraft were missing. Before long, the word UFO was being bruited around. Interestingly, this came first from the governmental personnel on the scene, not the eye-witnesses to the incident, who innocently believed for some time that they had seen nothing but a conventional aircraft. Soon even Canada’s normally staid broadsheet newspapers were talking about UFOs. After a public fuss lasting about a week, the issue died down again and was largely forgotten. It was only some years later that Chris Styles, a local child who had been one of the original eye-witnesses, decided to investigate the matter for himself. He mined the government information archives for some time before he struck gold: a message from the Rescue Coordination Centre in Halifax to Canadian Armed Forces Headquarters plainly stating that a UFO had crashed into the water at Shag Harbour. In UFO research, it is very rare to come across an open acknowledgement from a governmental source that a UFO is being dealt with. Shag Harbour Incident – the Drama at Shelburne. As he continued his researches, Styles came across evidence of a flurry of naval activity at the nearby Shelburne military base, approximately 25 miles distant from Shag Harbour, at around the time of the Shag Harbour incident. Interviewing some of the military personnel involved, he was able to partially reconstruct what had happened. It seems that military radar had tracked a UFO moving at great speed through the air before entering the water around Shag Harbour. The UFO then moved through the water to Shelburne and remained stationary for some time. A small flotilla of naval vessels, both Canadian and American, assembled to investigate. 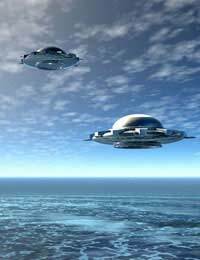 Another UFO then joined the first and the two remained unmoving in the waters off Shelburne for a whole week. At that point, a Russian submarine approached the scene. As some of the North American ships broke off their vigil to confront it, the UFOs suddenly raced away through the water and shot into the sky. So what really happened at Shag Harbour? Was the first UFO damaged in some way and the second came to assist it? What did the divers find during their week-long investigation? They are known to have taken photographs. Did they recover anything from the scene? A barge is known to have been ordered to the area and some speculate that it carried away material which had been collected beneath the waters. ConclusionAlthough much about it is still veiled in the usual secrecy, the acknowledgement from an official source that a UFO crash had occurred makes the comparison with Roswell fitting, and puts the Shag Harbour incident among the best-attested UFO incidents of all time.